In the United Kingdom, the prevalence of diabetes is around 6% of the overall population. According to the National Institute of Health, 1 in every 16 people in the United Kingdom is suffering from diabetes. Nearly one-third of the diabetics develop foot ulceration within a year of diagnosis. ‘Diabetic foot’ refers to an infection, ulceration, and possible amputation of a foot or leg among diabetics. This infection, usually, is diagnosed in its later stages, which poses adverse socio-economic consequences for patients and their families. Extensive surveys indicate that about 40-70% of all lower extremity amputations are related to diabetes. Incidences of chronic wounds, especially foot ulcers, are common among the diabetic population. While more than 80,000 adults are expected to undergo a lower extremity amputation, diabetics are 10 times more likely to undergo amputation at some point in their lifetime. 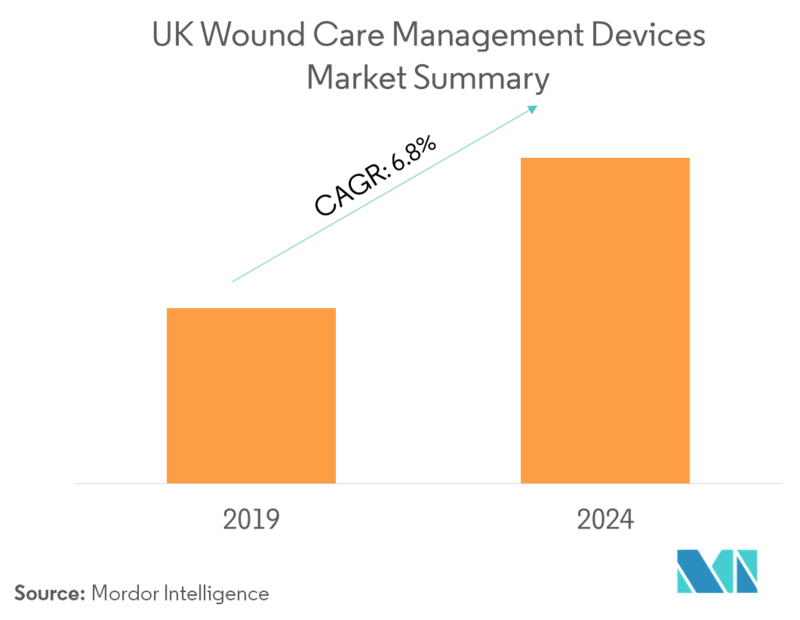 The diabetic population is likely to grow in the United Kingdom, which, in turn, is anticipated to drive the market for wound care management devices during the forecast period. As per the scope of this report, the term wound care management is the utilization of different products and technologies for the healing of wounds. In simple words, it is the treatment given for both acute and chronic wounds. The hospital and specialty wound clinic segment held a maximum share in 2018. This segment holds the largest share, owing to high demand for these devices in all types of healthcare centers – including out-patient centers, specialty hospitals, and community health centers. 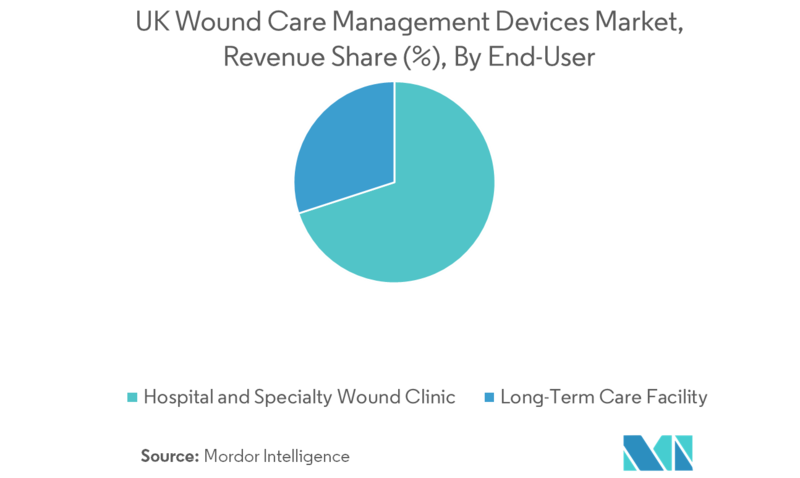 High rate of hospitalizations and increase in demand for surgeries, especially minimally invasive surgeries, are the key factors responsible for the high demand for wound management devices and consumables in hospitals and all other healthcare settings. The long-term care facility segment is forecast to show significant growth during the forecast period. 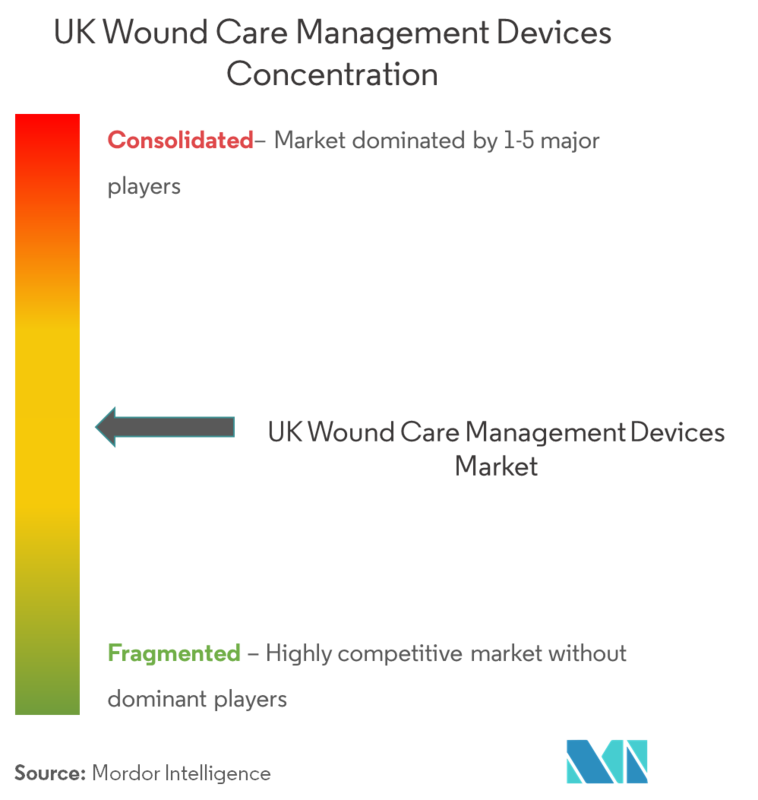 The UK wound care management devices market is moderately competitive and consists of several major players. The companies are implementing certain strategic initiatives, such as mergers, new product launches, acquisitions, and partnerships that help them in strengthening their market position. For instance, in December 2017, Smith & Nephew announced the European launch of MolecuLight i:X, which is a handheld imaging device that can be used to instantly measure wound surface area and visualize the presence of potentially harmful bacteria in it.